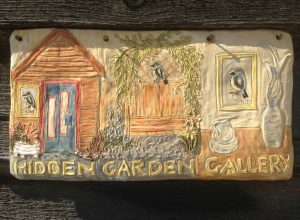 The Hidden Garden Gallery was founded in 2000 to serve the community of New Denver, B.C. and the West Kootenays. We are a small multi-use arts venue, hosting 10 week-long art shows each summer and Friday night Film Club gatherings fall through spring. The gallery is wheelchair accessible. We also sponsor a series of Food for Thought lectures at the Knox Hall, 521 – 6th Ave, about the arts, philosophy, literature, spirituality and much else, as well as various outreach activities with the school and community. Our mission is to create and maintain a welcoming space where artists and the community can come together and to foster creativity and inspiration. Attend the AGM as advertised in the Valley Voice.